The villain on this week’s episode of The Flash season 5 was Rag Doll, an incredibly creepy meta with a distorted body and clown face. The scariness of this meta was distracting and out of place. But, other than that this was a solid episode. The relationship between Iris West-Allen and Nora West-Allen continued to shine. The writers made the smart choice by letting them talk out their issues in this episode, rather than trying draw out the conflict. I love that Cecile Horton helped Nora understand Iris. It’s refreshing that Cecile has become such a prominent, defined character with storylines outside of her romance and pregnancy. The familial relationships between all of the women in the West family are far above and beyond what I’ve come to expect from superhero shows. As much as I’ve always loved Nora, it was painful watching Iris hurting all season. So, it was very satisfying that in this episode, Nora came to realize what viewers all know: Iris is an incredible hero in her own right. The way she came to respect Iris’ good-hearted bravery felt organic and earned. It can’t be overstated how much the family relationship between the Wests elevates this show. 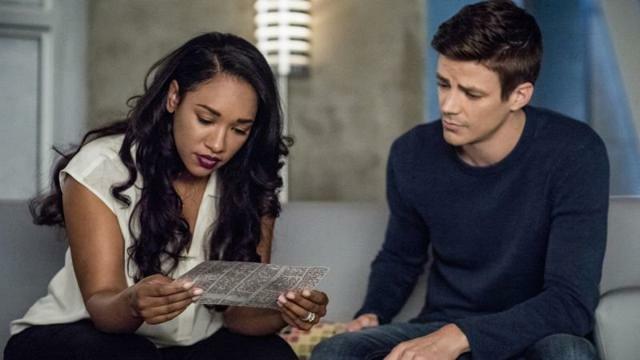 Barry Allen and Iris’ marriage was also front-and-center in this episode. Things like taking the time to give Barry and Iris a nice slow dance make this show incredibly rewarding. Instead of a drawn out will-they-won’t-they, The Flash offers a beautiful core relationship where we consistently see not only their love, but their respect and teamwork. Barry consistently saying that various superhero/detective activities will be “like date night” was adorable. Fun dad Barry Allen is the best Barry Allen. This episode also introduced Ralph Dibny’s ability to swing in between buildings and jump between rooftops with his powers. That sequence was very fun. Ralph scenes offer a vulnerability that Barry Allen doesn’t have as much since he became confident in his superpowers.